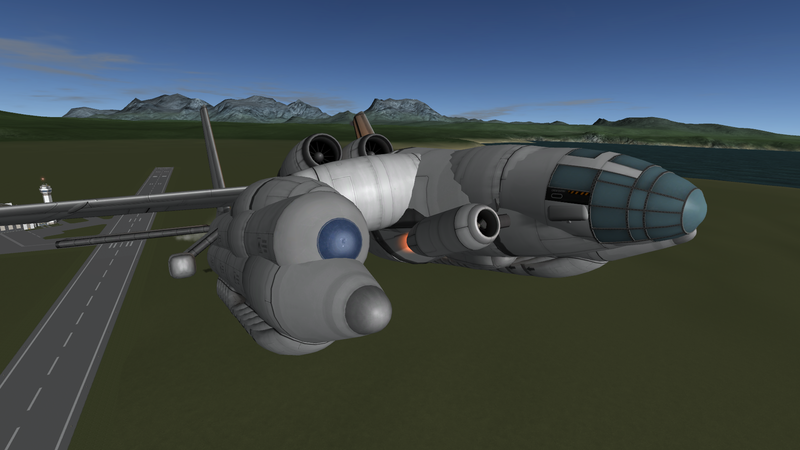 NEW: I’ve tweaked the air frame a bit so now it should handle much better. A replica of the Bartini Beriev VVA-14 ASW Ground Effects Vehicle. Envisioned as a fast moving Anti-submarine platform, this interesting piece of soviet cold war R&D, never really left the experimental phase. This is only a preliminary version meant mostly as a showcase. There’s still a lot of aerodynamic tweaking to make it fly better as well as figuring out how the buoyancy system works in this new version of KSP. At the moment it will not be able to take off after a water landing but I hope to change that with new iterations.